I still have a mound of quinces in the kitchen and today I’m going to fill the house with the unforgettable perfume of their bubbling sugary paste. The firm jelly, Membrillo (or dulce de membrillo in Spanish – membrillo just means quince – let’s get pedantic! ), is perfect with Sheep’s cheese, the best known being Manchego. I love it with lots of other cheeses too especially anything blue. The Italians eat their version, cotognata, chopped into cubes as little sweeties. The Portuguse add a little dash of port with a pinch of cinnamon and call their quince paste marmelada (a quince is a marmelo and so there, apparently, is the origin of marmalade) Now I’m rambling as usual and I’d promised myself to do my first quick post ever. 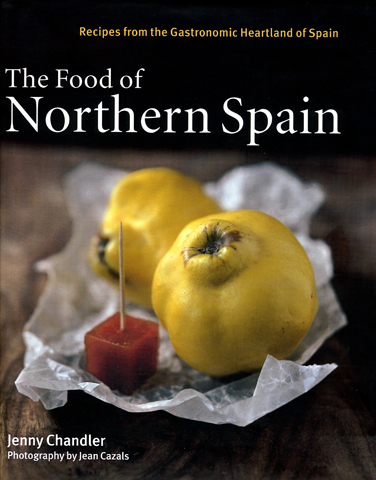 So here it is – a recipe from my first book The Food of Northern Spain which, rather conveniently has a beautiful picture of the quince and the paste on the cover. Jean Casals is a master of food photography and so I’ll happily use his image here instead of trying to cobble something together myself. My recipe is very traditional except for the last little section – the microwave tip! Now my microwave is usually reserved for melting chocolate, butter and perhaps re-heating a soup but I decided to give this shortcut a stab a few years ago and now, unless I’m making catering quantities of membrillo, it’s my foolproof method. Wash the quinces and wipe off any of the suede-like down but leave the skin on. Now remove the core and cut the fruit into small rough chunks. Don’t worry about the fruit discolouring your paste will be a deep rusty brown by the time you have finished. Place the fruit in heavy pan with about 300 ml/½ pint water. Boil the quince until it softens, about 20 – 30 minutes and then strain off the water. Now you need to make a puree, and by far the best piece of equipment for this is the mouli-légumes, (or pasapurés as it’s known in Spain) as you want to leave all the skin behind. You could use a potato masher and then push the puree through a fine sieve but it would be a lot more faff and your mouli will always make the best mashed potato in the world so it’s worth the investment. Now weigh the puree and add an equal weight of sugar. 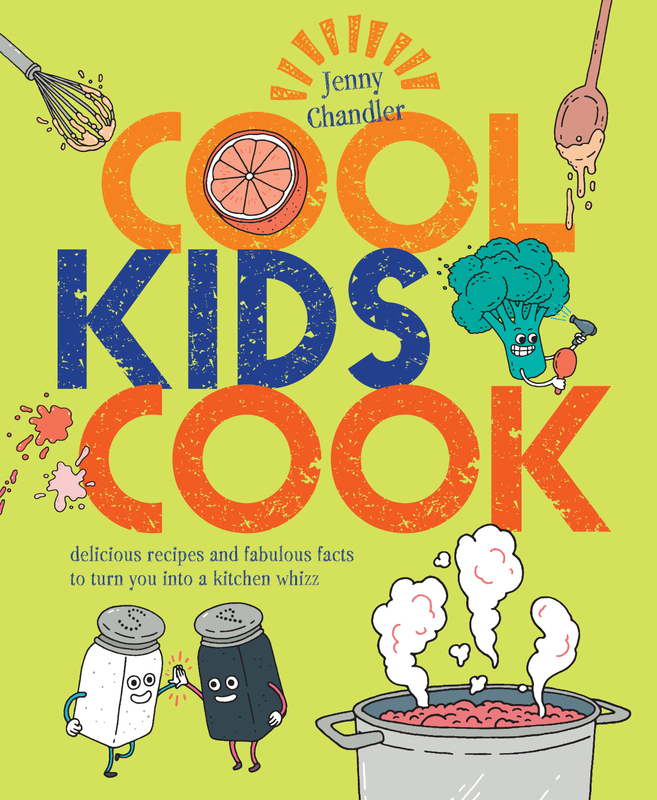 Cook really gently until the sugar has dissolved and then turn up the heat and boil until the mixture thickens. This will probably take at least an hour of fairly constant stirring, so have a relay organised and just make sure you have good oven-gloves and wear long sleeves; the hot jelly spits like volcanic lava. 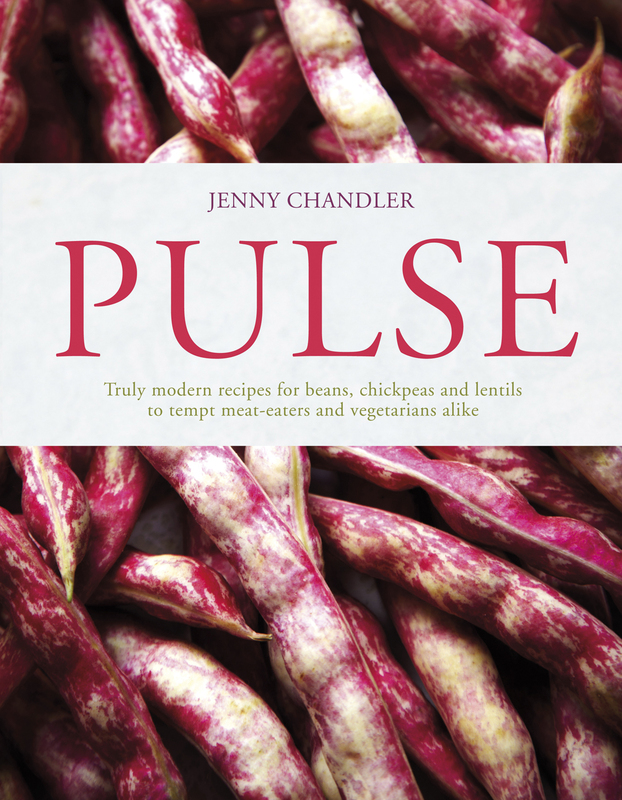 The puree will thicken up and turn deep red and the spoon will virtually stand up by itself. Now spread the paste out in a layer about 3 cm/1 inch thick in a tin about 20 cm/ 6 inches square, lined with greased paper. Allow to set for about 12 hours. Once you have your fruit puree mixed with the sugar, then place it in a deep glass bowl, with plenty of room for expansion as it will bubble up quite a bit.Cover with microwave cling film. Now microwave on medium for 10 -15 minutes and then give it a stir (take great care it could give you a nasty burn). Repeat the process 2 more times until the paste is really dark and thick. You may need to increase or decrease the time a little according to your microwave. Tip out onto the greased paper as before. * You can make the paste with apples too – I came across a dulce de manzana in The Basque Country, served with local Idiazabal cheese. Use the same method but add just 100g more sugar. I made some last year, using eaters rather than cookers and it reminded me of the deeply appley-caramelised flavour of Tarte Tatin. *I’ve just discovered this Ottolenghi recipe that I will just HAVE to try : Membrillo and Stilton Quiche. Aargh mouth’s watering – I need to go for some lunch.